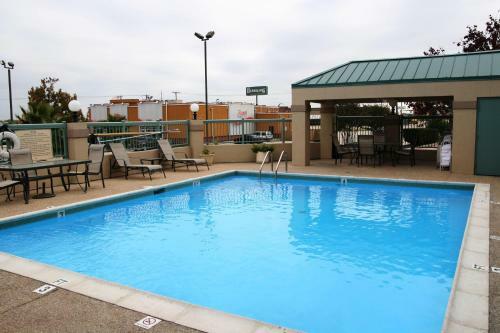 Featuring an outdoor pool and a fitness centre, this Killeen hotel offers guest rooms with free WiFi. It serves a daily free hot breakfast. Fort Hood is 7.7 km away. 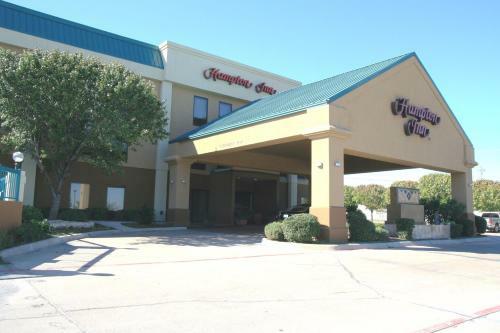 Each air-conditioned room at Hampton Inn Killeen includes a cable TV, a refrigerator, a microwave and a coffee machine. The private bathrooms offer a hairdryer. A 24-hour reception greets guests of Killeen Hampton Inn. Other facilities offered at the property include meeting facilities and laundry facilities. The property offers free parking. Jefferies Park is 1.8 km away from this hotel. Kern Park is 4.8 km away. Clear Creek Golf Course is 12.8 km away. 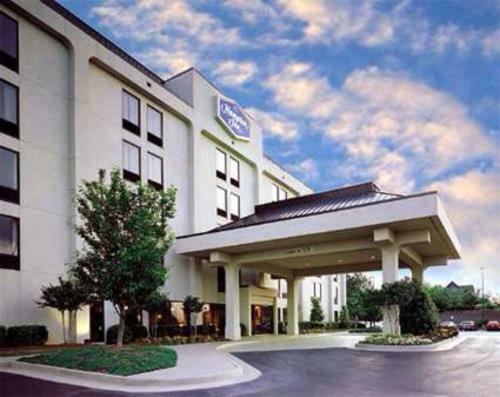 the hotel Hampton Inn Killeen so we can give you detailed rates for the rooms in the desired period.